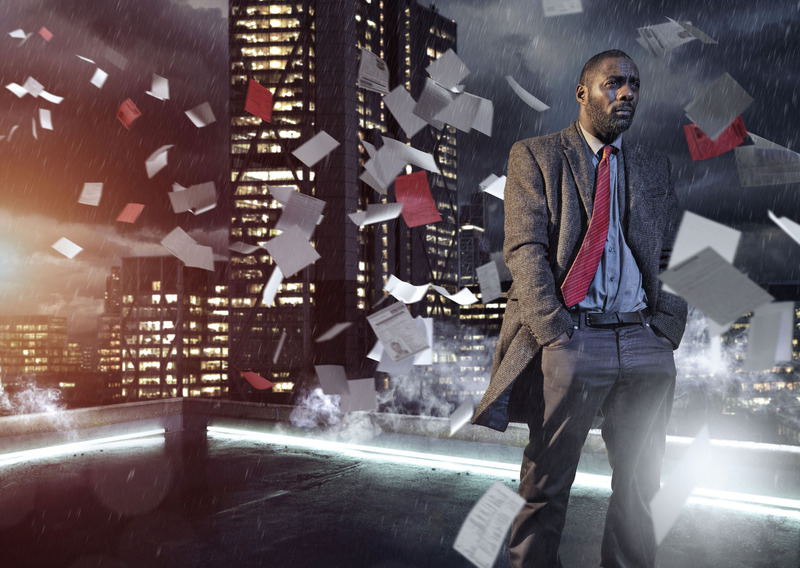 The first ever TV Quickshots dealt with the first series of Luther, and its grand, galvanizing final hour remains the high point of the stylish detective saga starring Idris Elba as damaged and morally compromised DCI John Luther, who’s always ultimately right, even he must be wrong to do it. Its second series had some clever moments, but seemed a showy, jokey diminishment after the wrenching finale of the first series. Series 3 attempts to inject some of that agonizing scope back into the mystery-solving proceedings, setting a bulldog-ish Scottish police investigator on the heels of Luther and his borderline methods while also violently depriving the detective of one of his closest allies. The latter climactic event in the third episode leaves many more questions than are justified by the anguish and conflict that it creates in Elba’s performance, mind you (in both the small and the large picture, the killer’s motivation for this act makes no sense). The delayed return of Ruth Wilson’s Alice Morgan in the finale is much welcome (her coolly sarcastic sociopath punches much-needed holes in the serious Columbo-esque facade of the master detective) but a bit too late. A fourth season of some sort appears likely, but with the show’s most memorable moments now five years behind us, it seems like Elba’s talents might be better spent elsewhere. The Alan Turing-centric The Imitation Game aggregated a clutch of Oscar nominations this month, sealing its status as the most prominent of modern British mythmaking narratives around the operations of the code-breaking operation at Bletchley Park during World War II which gave the Allies an advantages over the Axis and shortened the war by at least a couple of years. 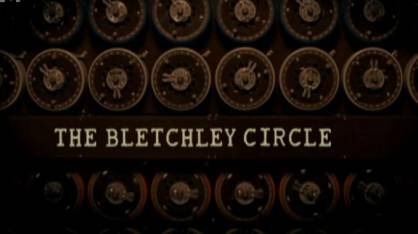 Another such onscreen ficitional take worth considering is The Bletchley Circle. Set in the 1950s, the show follows a group of women who worked at Bletchley during the war and are now variously employed in postwar life, sworn to absolute secrecy about what they did to aid victory. On the impetus of a bored housewife (Anna Maxwell Martin, the show’s central piston), four women begin to meet secretly to find a pattern in data that might lead police to a murderer of women at large in postwar London. The period setting and focus on female characters allows for feminist questioning of gender bias in postwar British society (though not as much as might be preferred) as well as a welcome library and archive alternative to the computer cascade of data common to contemporary-set procedurals. Some of the writing is dodgy, though, as is the acting, and Martin’s exit halfway through the second series lets the wind out of its sails. Little wonder it was cancelled after Series 2, and after the concept had basically offered what it had to give already. Lies are narratives. Narratives are lies. If those fortunate among us who have seen Sarah Polley’s Stories We Tell learned anything from it, it’s that it’s very hard to separate the two, especially in the dimly-lit halls of human memory. But what about in the bright glare of the public eye? Is it easier to tell a purposely-shaped narrative from a lie when it’s told to millions of people, with millions of dollars riding on it? This is one of the questions you might be asking at the conclusion of Alex Gibney’s The Armstrong Lie, a troubled, open-ended examination of the controversial career of Lance Armstrong, the 7-times Tour de France champion cyclist, cancer survivor and crusader, and inspirational media icon who was exposed as a drug cheat in 2012 and stripped of his titles. Gibney’s documentary began its production life on the road with Armstrong as he attempted a high-profile comeback at the 2009 Tour de France, four years after winning the most prestigious cycling competition in the world for the seventh consecutive time. Gibney, known for his complex and conflicted issues documentaries, seemed an odd choice to document a legacy-cementing victory lap for an apparent living inspirational poster like Armstrong. Indeed, during the 2009 Tour, he was chided by those who recognized him for doing a puff piece on Armstrong. Fortunately for The Armstrong Lie, the performance-enhancing drug allegations that followed Armstrong throughout his record-setting career like ravens came home to roost and Gibney found his valued conflict. 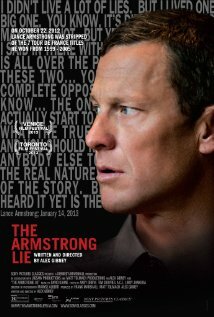 Interviewing Armstrong and those around him during his career, Gibney gets at versions of the truth, but in Armstrong’s case they were always mitigated by his prickly, intense dedication to his own image as a self-confident, all-American winner whose story could change the world if the haters would just let it. Though he can no longer deny that he doped during his now-vacated dominance of the Tour a decade ago, Armstrong clings to certain details of the tale as tenaciously as he once clung to the claim that he never doped at all. Gibney asks the right questions about how and why Armstrong maintained the illusion of himself as a clean cyclist, and gets some hard answers (respectively, how: with outright, aggressive denials and threats and bullying to potential whistleblowers, and why: for the money and the fame). He subsumes what must be his own bitterness at being duped and used by Armstrong for his own ends, alluding to the desire held by not only himself but by many millions of people to be fooled by Armstrong, to believe in what he called the “miracle” of his cancer recovery and subsequent sporting triumphs. At the core of this will to delusion is a most American willingness to buy into stories that are too good to be true, which almost inevitably are. The specific question that neither Gibney nor any of his subjects bothers to ask, however, is why Armstrong was wrong for employing a drug-enhanced means that practically every cycling champion for years has likewise employed to reach the same victorious end. Of course Armstrong doped. If all of the men he was beating did too, then how could he beat them? The margins in a high-level sport like cycling are thin, and they cannot be so easily extended by means of work ethic and stirrings of inspiration. The question that no one bothers to ask is, Why is doping illegal in cycling if everyone will always do it? Why not explicitly allow and regulate rather than ban and implicitly allow on the sport’s dark side? The preference for ineffective moralizing and scattershot enforcement over pragmatic integration hurt cycling deeply, but then it’s been hurt that way for a century and seems able to stand the affliction. No one can ask the question on camera, of course, since most everyone has a past, a present and a future in the sport to protect. There’s also a strange code to cycling, a set of arcane rules to team racing and the peloton, that compels cooperation and silence about what goes on behind the scenes, especially if what goes on happens to be against the rules of the sport. In such a closed world, what Lance Armstrong got away with seems entirely predictable and appropriate. His lie was a narrative, and his narrative was a lie. Public outrage is directed at him for telling it (and for using federal taxpayer money to do so, through the US Postal Service’s sponsorship of him and his team in the 2000s), and he doesn’t not deserve it. But that outrage must be directed inwards too, at those who accepted his lie as a narrative when really, truly, they ought to have known better. One of the great film noirs, The Third Man is a rare confluence of titanic talents. Directed by Carol Reed, the English filmmaker who would later win a Best Director for Oliver!, written by master novelist Graham Greene, and thoroughly conquered in its late stages by Orson Welles (a top billed star who doesn’t even show up until the last act), this is a mega-atmospheric mystery of divided loyalties in a divided postwar Vienna where corruption and alienation are the main currency of trade. Its relatively upright protagonist is Holly Martins (Welles’ Citizen Kane co-star and fellow Mercury Theatre player Joseph Cotten), who finds himself in Vienna after his childhood friend Harry Lime (Welles) offers him a job. He arrives to discover that Lime is dead in mysterious, ever-shifting circumstances that involve a car crash and the body being carried from the scene by, at first account, two men and then the titular third. As Martins looks into his friend’s apparent demise, he unravels a complex and cynical tapestry of intrigue, black market trading, and cynical exploitation of dire and chaotic social circumstances. Reed’s film is a masterclass in black-and-white cinematographic atmosphere, all encroaching shadows and revealing pools of light, scored with the eerie zither music of Anton Karas. Of course, almost no one talks about any portion of the film before Orson Welles makes his iconic and memorable entrance in a darkened doorway, a visual, theatrical bow for an inebriated and surly Cotten (Welles called it a “star part”, where they talk about a character for an hour an then they appear, dramatically). 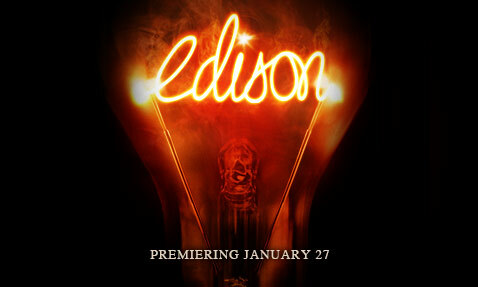 Shrouded in darkness, a light clicks on in a window across the street, and Lime is revealed, a knowing smile on his lips. Just as quickly, the light switches off. From darkness to a revelation in light, and just as quickly back into a cloak of black obscurity. We need no more statement of what Harry Lime is all about. We get it, though, in the dialogue of the film’s other legendary moment. In the midst of an ominous, threatening ride on Vienna’s Wiener Riesenrad ferris wheel, Lime brushes aside any hint of remorse that Martins expects him to feel for the deaths his black market medicine trade has certainly caused. Their elevation on the wheel separates them from the crush of humanity below, which Lime labels blithely as insignificant. He emphasizes his point by comparing the internecine struggles and frequent brutality of Italy during the artistically rich Renaissance with the peace and stability of Switzerland, which could produce nothing more enduring than the comic cuckoo clock. This is sociopathically (as well as historically) disingenuous on Lime’s part, as if trading illegal penicillin is an art comparable to Renaissance painting. But it’s a thoroughly modern justification of ill conduct, a disavowal of the committing of injustices via intellectual fabulism. Welles apparently added the dialogue himself, most probably pinching the Swiss cuckoo clock bon mot from the American painter James Abbott McNeill Whistler. In the mode of many film noirs, the transgressive, anti-social picture of dissolution and nihilism is course-corrected somewhat by The Third Man‘s conclusion, as Lime is tracked down and brought to lethal justice by Martins and the police in the Expressionistic sewers beneath Vienna. Deeply influenced by German Expressionism in its visual construction and surfaces, film noir returns near to its source in The Third Man and reaches one of its aesthetic peaks. There were top-notch exercises in the genre to follow (Welles himself made one of them, A Touch of Evil, to say nothing of the influence of Kane), but noir was perhaps never more noir than in The Third Man. For every great film that gets made, released, and added to the annals of cinematic history, there are many more that peter out before filming even begins. Lack of funding tends to be the primary impetus for failure in most instances. Films are tremendously expensive undertakings, and the more ambitious a vision, the more costly it is to bring it to the screen. Those holding the purse strings, be they Hollywood studio executives or independent producers, are notoriously hesitant to give over a healthy budget to anyone whose work does not promise significant returns on investment. Unlike, say, fine art, which can appreciate in value following its initial purchase, movies make their money at the box office and on home entertainment sales. Thus films with major popular appeal are rewarded more than those with less, and the larger budgets go to the projects that can draw the crowds. 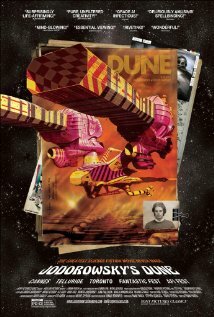 This brings us to one of film history’s most legendary uncompleted projects, a conceptually spectacular and sprawling adaptation of Frank Herbert’s sociopolitically rich desert-planet science fiction novel Dune helmed by the enthusiastic, mystically-inclined Chilean-French surrealist filmmaker Alejandro Jodorowsky. Frank Pavich’s fascinating documentary examines the tremendous promise of the Dune project, as well as the persistent ripples of influence that it cast out on 1970s and 1980s speculative film despite sinking helplessly beneath the surface. It argues insistently and not unconvincingly that this unmade movie cast a longer aesthetic shadow than many of its era that were finished and released. Jodorowsky’s name is not well-known outside of film geek circles, but before attempting to adapt Dune he was one of the key figures of the countercultural cinema of the early 1970s. He made the widely-agreed first “midnight feature”, the loopy blood-soaked Western El Topo, followed by the visually astonishing but insensible surrealist trip The Holy Mountain. With the European success of the latter, Jodorowsky’s producer was willing to let him chase his muse, and that muse lead him to D une. To adapt Herbert’s expansive novel for the screen, Jodorowsky assembled a tremendous group of design talents, showing an artist’s eye for conceptualization unheard of before him but now characterisitic of blockbuster film design. Initially storyboarding extensively with French bande desinée illustrator Jean “Moebius” Giraud, Jodorowsky also approached British artist Chris Foss to design spaceship, buildings, and sets, Dan O’Bannon to execute the sure-to-be-revolutionary special effects, and the now-iconic Swiss painter H.R. Giger to lend his unsettling, dark organic-technological hybrid images to the film’s villains, the Harkonnen. The storyboards and concept art that Pavich shows us portend a vision of rare magnificence impregnated with metaphorical resonance; Nicolas Winding Refn, director of Drive, attests to having been talked through Dune‘s storyboards and conceptual designs by Jodorowsky and refers to the resultant imagined film as “awesome”. Little wonder that O’Bannon, Foss, Giraud, and Giger formed the core of the art department for Ridley Scott’s Alien a few years later; O’Bannon wrote that script, inspired to make a film by his first glance at one of Giger’s unworldly nightmare beings after Jodorowsky threw them together. Jodorowsky‘s Dune traces the stillborn project’s influence through the following decades of film, its ideas seeding Star Wars, Blade Runner, Prometheus and more, in addition to the bande desinée work that Jodorowsky worked on in subsequent years (it includes little discussion of his later films, rarely rated very highly by film buffs). Speculating that the compendious Dune concept books that Jodorowsky presented to Hollywood studios who passed on funding the project were pillaged for ideas by those who saw them, Pavich’s interview subjects make a compelling case for the power of Jodorowsky’s vision and the breadth of its influence, even without a final celluloid product. The motion re-creations of conceived sequences demonstrate that Jodorowsky was working on a level of ambition and visual prowess fully 30 years ahead of its time at least. Even now, in a Hollywood suffused with large-scale effects-heavy speculative genre blockbusters that share the wild fan-fiction assumptions with which Jodorowsky approached Herbert’s material, this film might be a bit too fantastical to be financed and made. 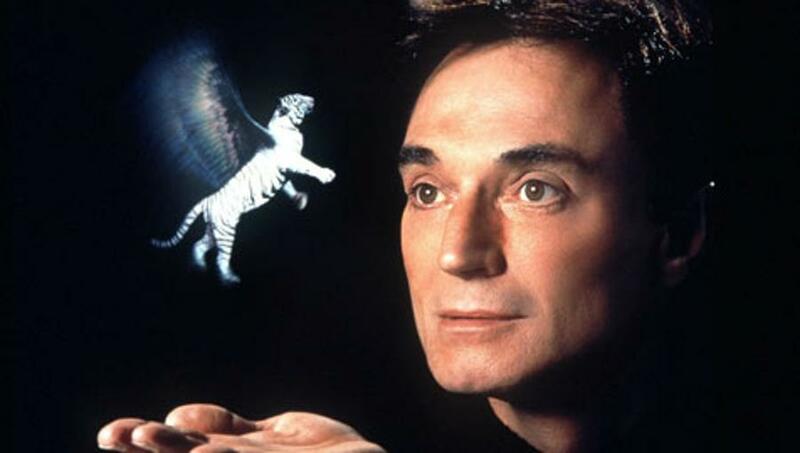 Pavich has constructed this story in a way that sometimes skirts around the real reason that this Dune was not made, blaming penny-counting Hollywood suits for passing up on a chance to shift the paradigm on filmmaking a couple of years before George Lucas dragged them into a new future with Star Wars. There is always something to this complaint, and few will go to bat for the hated figure of the studio executive, ever waiting to thwart artistic freedom in the name of commerce (which is generally agreed to be what happened to David Lynch’s released version of Dune in 1984). But it becomes quite clear before too long that the Achilles’ heel of Alejandro Jodorowsky’s Dune was Alejandro Jodorowsky. He presents as exactly the sort of massively talented and uncompromising auteur who could oversee a $15 million budget’s catastrophic ballooning to twice that amount, the stuff of studio executive nightmares. He was deeply involved in mystical beliefs, which have developed over the years into a semi-religious practice called “psychomagic”, and proposed changing the ending of Herbert’s tale into a galactic vision of spiritual unity. He refused to consider cutting down his film to manageable commercial feature length, insisting that if the story took 12 or 20 hours to be told onscreen, then that was what was demanded and had to be respected. Jodorowsky is more visual artist than narrative filmmaker, and he had absolutely no instincts for the sort of commercial filmmaking that his proposed budget required in 1975. Peter Jackson had never made a big commercial hit before New Line Cinema gambled its financial future on The Lord of the Rings, but the studio must have recognized his populist instincts and anticipated that he would be capable of crafting Tolkien’s books into accessible but visionary works of mass art, as he did to great success and acclaim. Jodorowsky is at least two parts raving madman, a mindset typified by his casting choices. He proposed casting his own son as the lead, and tasked the boy with two years of ruthless martial arts training in preparation; approached David Carradine and Mick Jagger for central roles; had his producer offer surrealist painter Salvador Dalí $100,000 per minute for a cameo as the Emperor of the Universe; and convinced Orson Welles to play a disgustingly obese villain by pledging to hire an elite chef to make him meals on set. Jodorowsky’s Dune includes a statement by its subject early on concerning the essential interrelation between madness and art, and then proceeds to demonstrate the truth of the statement for the rest of its running time. Alejandro Jodorowsky’s conception of Dune was truly impressive, but because it was Alejandro Jodorowsky’s conception, a conception was all it could ever be. The ambitious, impractical imagination that made it look so remarkable also made it unfeasible in its time and place (and, to be honest, maybe in any time and place). It now exists only in its creator’s mind and in his copy of the storyboard book, a brick-sized testament to artistic purity that remains unsullied by market forces but also unseen by the people. This documentary is about the incommensurability of art and commerce at its extreme fringes, and about the one mad film director would thought that just maybe he could convince them to accord, if only once. What, if anything, does having a view into the text entered into internet searches tell us about the psychology of those who entered it? Are they mere impressionistic doodles, ephemeral short-attention-span bursts of spectral curiosity? Or do searches tell us more about the underlying psyche of the searchers? About their belief-systems, unconscious desires, or deepest intentions? Governments certainly think so, which is why they’re farming all of that content and sorting through the data to find something to detain you over. And you thought this post would only be good for light entertainment. I am very much in love with that spelling of “satyrical”, although contrary to popular (or maybe less popular and more marginal) belief, the word “satire” does not derive philologically from the Greek mythological creature. I’m sure that Stuart Townsend was pretty pissed about it. For whatever reason, every other search result yielded by this phrase was about the Scottish independence movement. 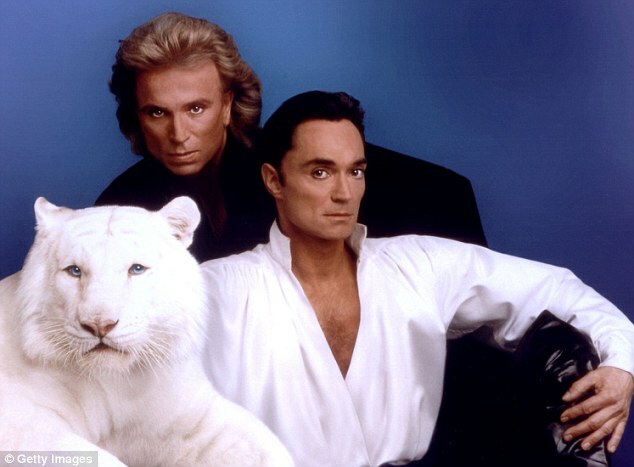 I went searching for the most bizarre and hilarious Siegfried and Roy images and the one above was only barely in the Top Five. Though it involves only Roy, the one below is likely #1. As complex a question as it is possible to ask, quite probably. But can be summed up roughly as: where there’s honey, there will be flies. I’m not even certain that Ridley Scott knows what Ridley Scott is trying to say with his period epics at this point. Other than “I like sand”. I’m assuming this question is rhetorical. Even if it isn’t, ten points to Gryffindor. This phrase is forever heartening. Very good name. Is it taken? Is that you, Peter Jackson? Go back to finishing the Extended Edition DVD. Slacker. It’s a central tenet of feminism that women are as good as men (if not better) and deserve every fair opportunity to demonstrate it. But an equally key feature of the feminist project must be to allow women to be as bad as men and to be treated and understood in equivalent terms. Just as “successful” women are often objectified and victimized by pervasive tropes that proscribe their individual agency and personal integrity, “unsuccessful” women are likewise pigeonholed and limited by distinct (but often related or adapted) stereotypes. Feminism in its ideal form allows women not only the unfettered chance to be at their best that men evidently receive, but also a level of sympathy and regard equivalent to that afforded to men when reduced to their worst. Comedy director Paul Feig has been doing decent if aesthetically unremarkable yeoman’s (yeowoman’s? yeoperson’s?) work for the image and perception of funny women in Hollywood since at least 2011, when his Judd Apatow-produced women-centric comedy Bridesmaids was a surprise box office smash. Feig had cut his creative teeth on Freaks and Geeks, a critically-acclaimed but little-watched television show from the turn of the millennium that has become, in retrospect, the biggest non-SNL American mainstream comedy incubator of the past 20 years (Bridesmaids producer Judd Apatow helped develop it, and current established comedy leads Seth Rogen, James Franco, and Jason Segal were among its principal young actors). But it was Bridesmaids that pushed him to the forefront of big-screen comedy. The Heat is his follow-up to that galvanizing success, and like Bridesmaids it’s more a movie prominently featuring women in screen roles generally occupied by men than it is a specifically feminist movie. That the former is quickly construed as the latter is a telling comment on the popular perception of fe minism, but in either case it’s as major a step as Hollywood is able to make at the moment in the representational direction of gender equality, so let’s offer our tempered support as encouragement. The aim of trope conquest is not unlaudable in a form increasingly defined by the demographic fragmentation of genre films. Indeed, from a certain perspective, it’s downright revolutionary: the patriarchy perpetuates itself in low culture as well as on society’s elite echelons, so let’s not fool ourselves into thinking that gender representations in comedy movies don’t mean anything. Bridesmaids established that the dominant contemporary American comedy milieu of the crude, anarchic, semi-improvised buddy-antics farce could appeal equally well to audiences when inhabited by female characters as opposed to male ones (that Apatow, the Caesar of the American big-screen comedy empire built on such dude-dominated farces, oversaw its expansion to include female leads mustn’t escape our critical notice). 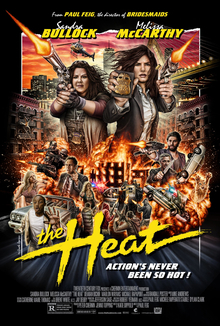 The Heat, for its part, integrates women characters into the highly masculine-centric and generally chauvinistic buddy cop genre, a frequently mocked genre that is perhaps the most ideologically revealing and societally troubling type of Hollywood product in light of the expanding police state of post-Reagan America. The Heat is not a satirical commentary on buddy cop movie tropes the way that Edgar Wright’s Hot Fuzz is, to select one example. It predominantly reproduces the common tropes of the genre and inserts women into them as opposed to men. Therefore, the hyper-competent by-the-book FBI agent played by Sandra Bullock learns to relax, loosen up, and bend the rules and procedures (and, you know, laws) that govern police work by working with the vigorously proletarian street detective played by Melissa McCarthy (the breakout scene-stealer of Bridesmaids) to take down a shadowy, violent drug lord. Feig works in references to obstacles faced by professional women in largely homosocial workplaces everywhere, from the glass ceiling that confronts Bullock’s careerist Sarah Ashburn and denies her a coveted promotion to the derision that McCarthy’s appearance and working-class associations inspire in her male colleagues. But if The Heat is feminist, it is feminist more in general premise than in specific textual detail. Does it matter whether The Heat is feminist, as long as it’s funny? It is intermittently funny in the scattershot, half-improvised, throw-it-against-the-wall-and-see-what-sticks manner of much American comedy from the Apatow stable. McCarthy overcomes some early obesity humour to carve out her own particular foul-mouthed, fiercely loyal, absurdly self-confident take on the loose-cannon cop archetype. Her Detective Mullins is a motormouthed bulldozer, and if any specific utterance doesn’t flatten you, another is coming along in a moment to try its luck. Bullock is an able foil for her, and is gifted with many of the funnier (likely written) lines. That the same actress is at the centre of this movie and the taut space thriller Gravity in the same year is testament to a rare range and versatility that goes unappreciated. Little of the supporting work is notable, though comic Spoken Reasons has some humourous moments as a low-level street dealer named Rojas who keeps popping up in their investigation. What The Heat achieves in a wider sense is to inculcate female officers in the consistent process of discursive justification of growing police power and supralegal enforcement activities that cop movies with male protagonists have been carrying out for decades. Mullins is introduced busting a john (Tony Hale) soliciting prostitutes and then pursuing Rojas for drug possession. Both of these crimes, while incontrovertibly illegal, are controversially so in terms of public opinion, but Feig’s movie has no inclination to question the terms of social order (an order that limits the options of the low-income women and minorities disproportionally arrested for those respective offenses) that their enforcement supports. Like in conservatively-tilted cop movies stretching back to the era of Dirty Harry at least, Mullins and Ashburn show that disregarding all of those limp-spined politically-correct liberal procedures and bothersome criminal laws is the only way to effectively dispense justice to the truly guilty (and the officers always have sole discretion in deciding who that is). Hollywood convention conceives of the rogue cop as the modern symbolic heir to the Old West gunslinger, but both figures have been subaltern foot soldiers in long-standing processes of hegemonic enforcement of discriminatory conditions. The rogue cop figure has provided important populist discursive cover for the increase in police brutality, overreach and militarization in America, a deepening nightmare that the country is only beginning to wake up to. The Heat does not challenge this structure of representation but merely muscles women into a comparable position as men in buttressing it. It seeks to break up the boys’ club of the patriarchy but not the oppressions that the patriarchy inflicts upon anyone other than white professional women. Although Hot Fuzz reproduces many of the same buddy cop flick tropes as The Heat (their over-the-top satirical titles are even similar), a key distinction can be seen in one of Hot Fuzz‘s underappreciated core ironies. Unlike in The Heat and most other American cop movies, Wright’s satire of the genre utilized the rogue extralegal vigilante police(man) officer in usurping the power of a closed, untouchable conservative social elite, in putting a firm end to the discriminatory enforcement of a restrictive social order of conformity and obedience to authority. What The Heat does achieve, or work towards achieving, is the above-defined feminist project of gender equality on its lower registers. It allows that women can be as crude, violent, and loud-mouthed as men without incurring special discrimination, and that they can also be pocket-fascist assholes with guns and badges with every bit as much alacrity. It might also give clues to Feig’s forthcoming, sure-to-be-contentious all-female Ghostbusters reboot, which will no doubt take on the stubbornly patriarchal geek culture just as his earlier work tackled gross-out farces with hearts of gold and buddy cop action-comedies.